Forza Motorsport - Porsche and Forza Together! 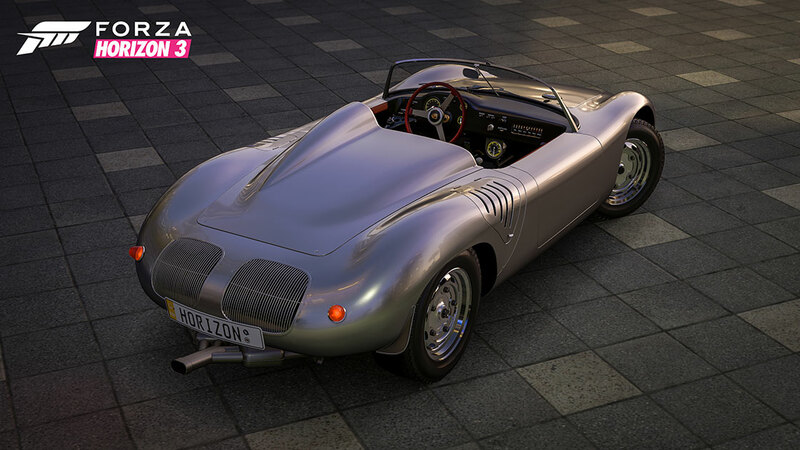 Porsche has returned to Forza, this time bigger and better than ever! Today Porsche and Turn 10 have announced an in-depth six-year partnership on a variety of Forza franchise initiatives. 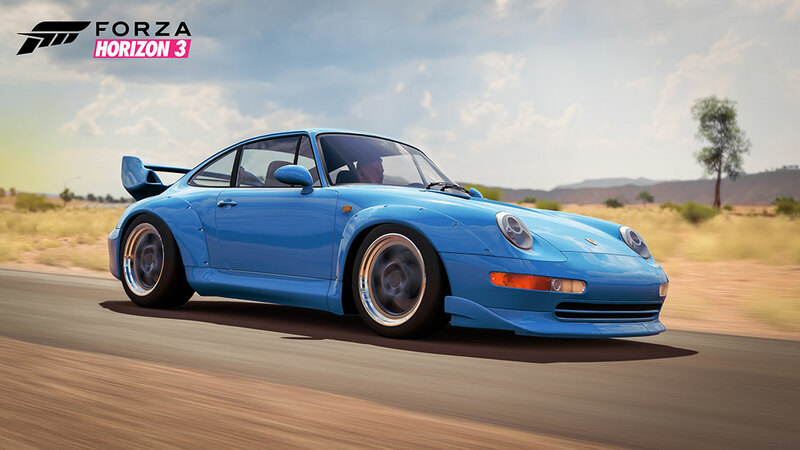 The Forza/Porsche partnership begins today with the launch of the Porsche Car Pack for Forza Horizon 3, bringing seven amazing new Porsche models to the Horizon Festival. 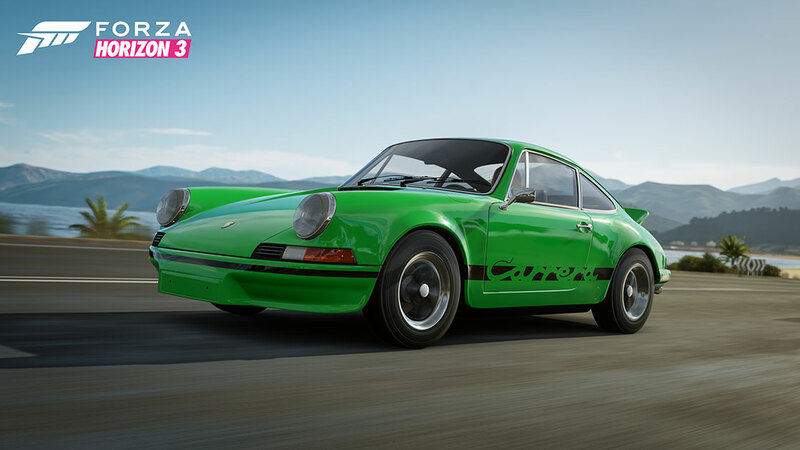 In addition to the pack, we’ve also got a series of new #Forzathon events starting in April where everyone can earn Porsche reward cars at no additional charge. 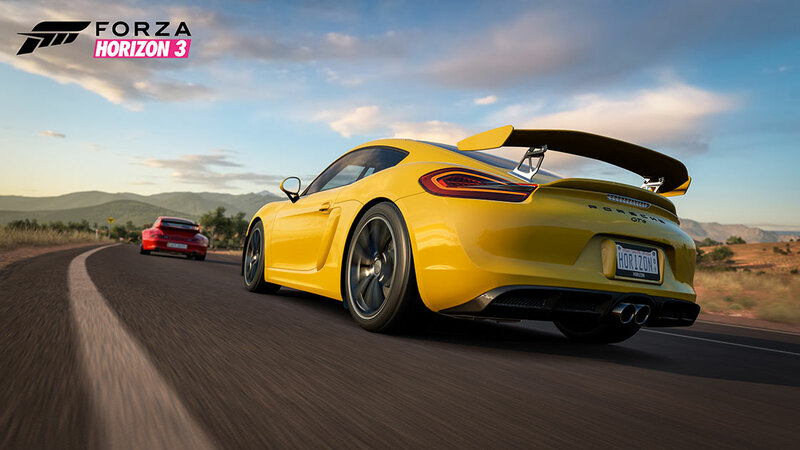 In addition to all the great cars coming to Forza Horizon 3, Porsche will be making its esports debut as part of the next season of the Forza Racing Championship (ForzaRC), which kicks off this weekend with the Forza Racing Championship New York Invitational. This epic live esports racing event will be broadcast live on April 15 and 16 from Microsoft’s flagship store in New York City. 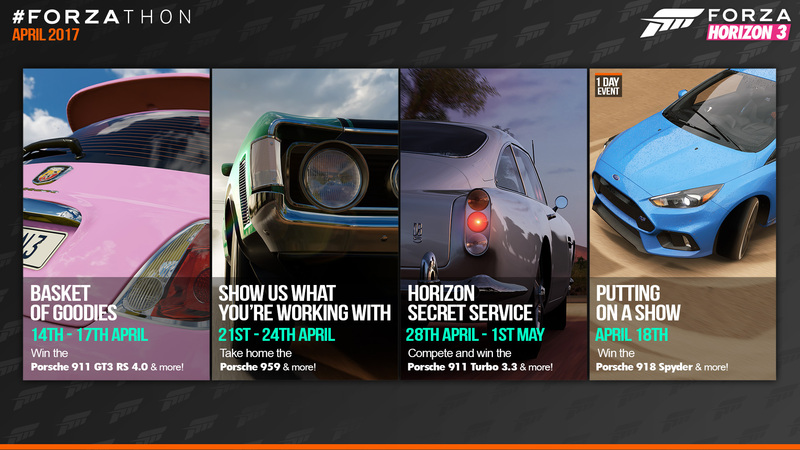 In addition, Season 3 of the Forza Racing Championship will begin on May 1, and registration for the new competitive season is available now. For more information on the ForzaRC New York Invitational, check out our complete story here on FM.net. 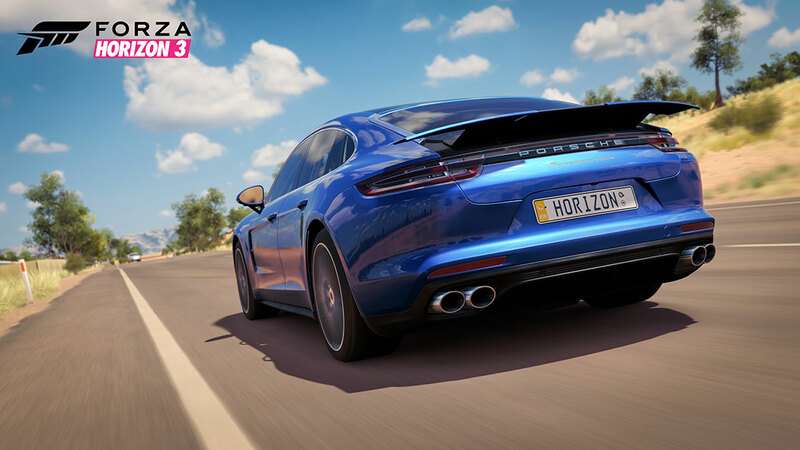 Available today, the Forza Horizon 3 Porsche Car Pack adds seven acclaimed Porsche vehicles to the open world of Australia’s Horizon Festival, including Porsche models making their debut on this console generation. 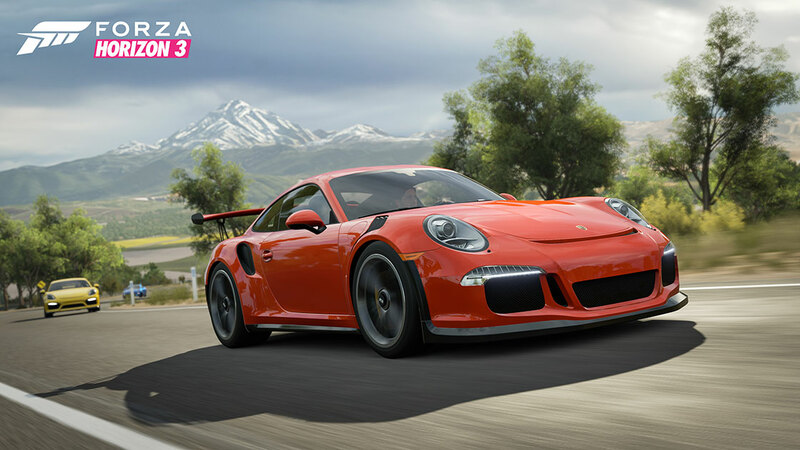 With this pack, players will experience prime examples of the breadth and depth of Porsche’s automotive history from classic racing models like the 1960 718 RS 60 to modern-day powerhouses like the 2016 911 GT3 RS and more. There was much consternation over potential changes to the track-focused, top-of-the-line neunelf (that’s German for “911”) before its release. Would Porsche move the engine from Ferdinand Porsche’s anointed rear-placement? Would turbo-charging be utilized? In the end, the answer was no to both questions. The latest GT3 RS is naturally-aspirated and the incredible 4.0-liter flat-six is in the rear, where it was meant to be. Adding to 500 horsepower and its screaming-high redline, the RS is 22 pounds lighter than the already lithe GT3. Rear-wheel steering and all the accouterments of the best track car on the planet are also right where they should be. You might think of the Cayman GT4 as the little brother to the 911 GT3. However, it is in many ways its equal, albeit in a smaller and different package. The GT4’s engine is based on that of a Carrera S, but it is mounted ahead of the rear axle. To do so, the 3.8-liter flat-six was rotated 180 degrees, and in doing so the GT4’s driving characteristics are distinctive of a mid-engine design. Moving that weight forward delivers more predictable handling and improved balance. You may consider the Cayman GT4 entry-level, but what you are entering is the highest level of driving exhilaration. Put the GT4 through its paces and you will immediately become a fan. When the Panamera was introduced in 2009 it had everything you would expect in a four-door sedan from Porsche (even if you never expected the legendary performance car company to build a four-door sedan). For 2017, everything but the concept and the Porsche badge have been updated. In the turbo model, you get an all-new turbo-charged V8 that makes 550 horsepower with only minimal boost. Make no mistake, this is a luxury sedan that can remove all but the nastiest road failings from your driving experience. And once you engage the Sport settings, it becomes a formidable sports car. This is a true evolution of the Panamera that represents a new definition of what a super-sedan can be. Among Porsche fans, the 1973 Porsche 911 Carrera RS is a beloved icon. It was with this model that the 911’s considerable racing history began in earnest. With the 917 Can-Am racer scheduled to retire due to rule changes, Porsche dove into GT Racing. Beginning with a 1972 911 S, engineers bored it out, raised the compression, and did everything imaginable to lighten it. Fiberglass replaced sheet metal, thin window glass was installed, and almost all amenities were removed. Even the Porsche badge was replaced with a sticker. To meet racing rule requirements Porsche had to produce at least 500 Carrera RS models. The car was so popular that 1,580 ended up being produced in 1973. Designed for the track, the Carrera RS has responsive, communicative handling and enough power to make it competitive against much newer, more technologically advanced models. It just goes to show that when Porsche puts its collective minds towards creating something new, the result is timeless. In keeping with Porsche’s philosophy of producing genuine sports cars by applying track-proven technologies, the 911 GT2 is somewhere between a perfect track day car and the ultimate road car. Following the lead of the 1973 Carrera RS, minimum weight and maximum power are key ingredients. The GT2’s 3.6-liter, twin-turbo flat-six makes upwards of 424 horsepower and its lightweight construction has kept both total weight and unsprung weight to a minimum. Fully adjustable suspension incorporates a unique spring and damper system that provides unmatched traction on any road surface. Supplementing the GT2’s handling precision and agility is a 60/40 differential lock that provides additional grip whether you’re on the gas or coasting. While embracing the classic 911’s curvaceous form, the GT2 has tones of aero that affords additional downforce at the front axle. So, whether you’re streaking at top speed or blasting through tight corners, you can count on the 911 GT2 making you look good while keeping the rubber side down. Known as the “Giant Killer,” the 550 was Porsche’s first foray into building cars specifically designed for racing. Actor James Dean bought and intended to race his 550 at Salinas in the fall of 1955 but died in a car accident shortly after completing filming of the movie “Giant.” The 550 with a Type 547 1.5-liter, flat-four, air-cooled engine produced a little more than 100 horsepower. One of the biggest steps forward was the space-frame tubular chassis which made it immensely lighter than its racing competition, as well as more rigid and stable. This car set in motion Porsche’s racing prominence and helped build a reputation that sparked global sales. The 550 is nimble, agile, well-balanced, and quick even bone stock. It generates a feeling of confidence when being pushed through corners. Even when pitted against heavier, larger displacement cars, the 550A proves that bigger is not always better. 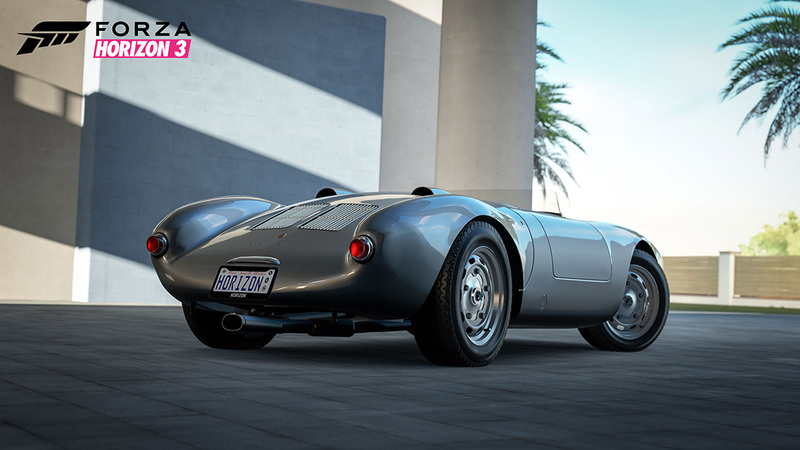 The 718 RS 60 represents the evolution of the “Giant Killer” 550A Spyder. This open-cockpit race car brought a 160hp 1.6-liter, quad-cam, mid-engine layout to bear and improved front torsion bars that resembled the letter K (hence the model became known as the “RSK”). Rearward, the new double-wishbone suspension gave this already nimble machine even more apex-hunting ability. In 1960, the RS 60 won the 12 Hours of Sebring, the Targa Florio, and defended its European Hill Climb Championship. In an era where the RSK competed against Ferraris with nearly double the displacement, the mighty 718 tied the cars from Maranello for the manufacturer’s championship in the 1960 World Sportscar Championship. Put the 718 on a pedestal and admire its form or its accomplishments in racing; either will leave an impression like few others. Note that you don’t need to own the Porsche Car Pack to get these special #Forzathon reward cars. Just like any #Forzathon event, all you need to do is complete the event and the reward car can be yours.